The Mediterranean Conference Centre, in collaboration with the European Foundation for Support of Culture, is presenting an Evening of Music for String Orchestra with the Georgian Sinfonietta on Sunday at 6pm at the conference centre’s La Vallette Hall. The Georgian Sinfonietta has established itself as one of the world’s leading chamber orchestras. 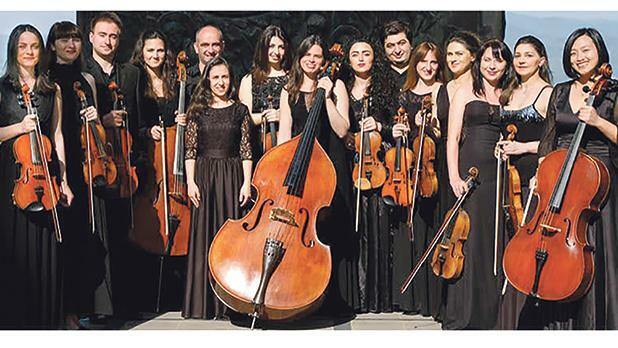 It not only plays regularly in Georgia and is the backbone of the Tbilisi International Baroque Festival, but it also tours Europe on a regular basis. Together with conductor Alexei Galea Cavallazzi, they will be presenting a programme of music for string orchestra. Mendelssohn’s String Symphony No. 9 in C will open the concert, followed by Carl Nielsen’s Little Suite for Strings Op. 1 and Maltese composers Jesmond Grixti’s Music for Strings and the late Joseph Vella’s Sinfonietta for Strings Op. 36, a fitting climax to a programme of music from the 19th and 20th centuries. Galea Cavallazzi, whose international career takes him to many countries, has been invited to conduct the orchestra a number of times in Tbilisi. This is the second concert of the Georgian Sinfonietta in Malta. For tickets, call 2559 5750 or visit www.mcc.com.mt.